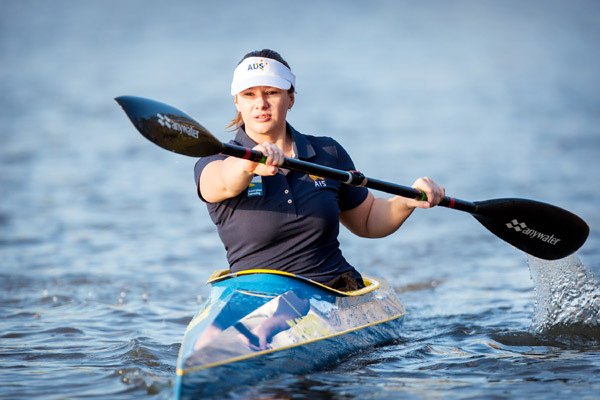 Recently, we have been informed of an important change to the upcoming Oceania Paracanoe Championships, originally planned to take place 8th to 10th of May on the Gold Coast. Due to extenuating circumstances outside of our control, the International Canoe Federation (ICF) panel will no longer be able to run classification on the 9th and 10th which was a key part of the event. AC and APC have been working with ICF to come up with solutions, and given that Classification is a priority, we have decided to postpone the Oceania Paracanoe Championships until a date where athletes can be seen for classification in conjunction with a race. The new tentative dates for the event are the 11th- 14th of June (to be confirmed by ICF). The new proposed dates are a longer timeframe to include 3 days of classification at the event and ensure all registered athletes can be seen during the classification process by the ICF panel rather than only the select group of National Team athletes and athletes on the 2016 APC long list. We recognise the change in date presents its challenges, however the positive in the date change is that all the athletes will be seen at the later date. As soon as we receive final confirmation from the ICF about the proposed June dates, we will circulate a memo with the new information and schedule. Despite the change to the Oceania Championships, AC will still run a selection trial on Saturday the 9th of May. The purpose of the May event will be to conclude selection to the 2015 National Team with a clause that final selection to the team depends on classification at the June event. All athletes who have nominated for the national team and participated at both the Selection events (as per the National Team Selection Policy) will be eligible to participate in this event. If you aren’t sure whether or not you mean the minimum requirements, please let us know. The event in May will be the Paracanoe Selection Trials. **NOTE: All athletes who have already been named to the National Team (5 in total) will be racing in the selection Trial. At the conclusion of the Paracanoe Selection trials, we will have a BBQ for lunch – all are welcome. Our aim will be to announce the team just after lunch (with a clause that athletes are all subject to classification in June). It would be great for all athletes, coaches and support persons to attend this social gathering and team announcement! To enter the Paracanoe Selection Trials, please send me an email with your intent to participate. We would appreciate if you can let us know by Sunday 4th of May so we have a sense of the event requirements and how big the event will be. We apologise for any inconvenience this change may have caused and hope you understand where we are at and the plans to move forward. We appreciate your commitment to Paracanoe and certainly encourage everyone to participate in the Oceania Paracanoe Championships, as a planned, just on the revised dates. Registration will be a similar process with entries closing 10 days before the event (approx June 2nd). We will open that up and circulate a memo with the details as soon as ICF confirms the new event dates. I can be reached by phone (0424 540 058) or email (christine.bain@paddle.org.au)with any questions.